Today’s Geneva Motor Show was seemingly a bit of a hot-hatch fest. 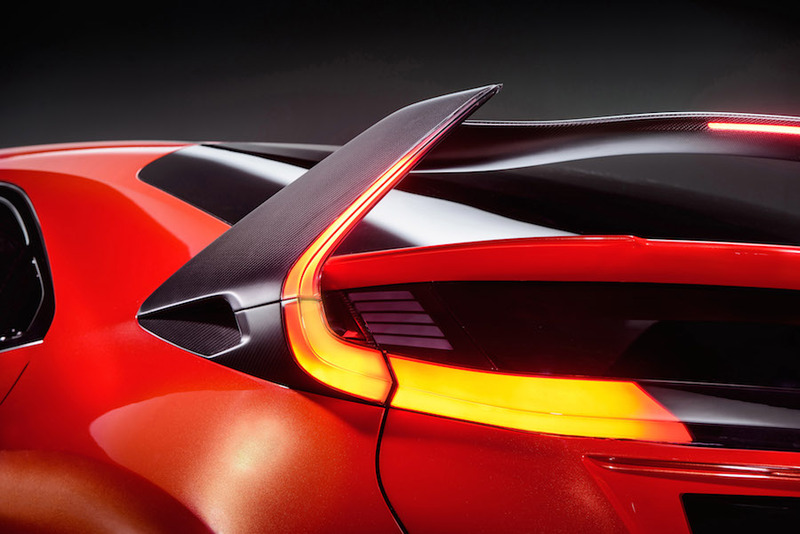 After much speculation, here’s the concept version of Honda’s latest Type-R hatchback, with one of the craziest rear wings ever. 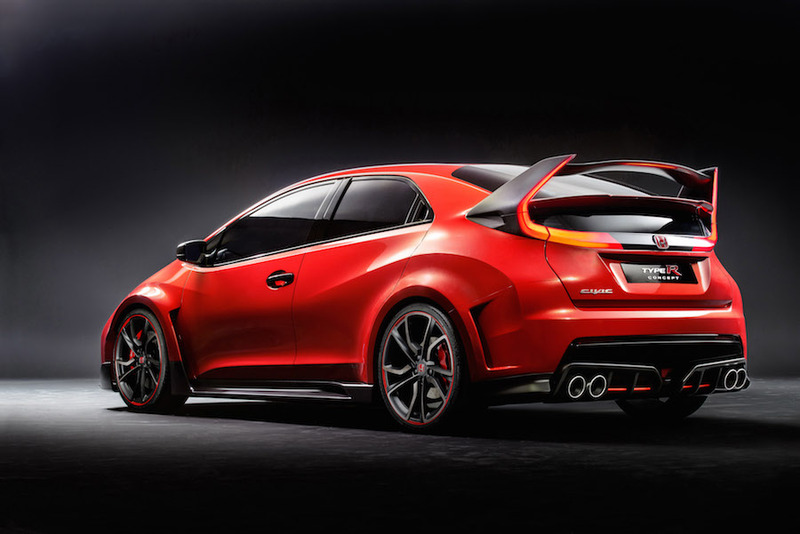 We’ve been without a Type R version of the Honda Civic since January 2011, when EURO V emission regulations killed off the high-revving 2.0 litre naturally aspirated engine. But after three long years, we’re closing in on a replacement that the development team have described as being like ‘a racing car for the road’ which is a real statement of intent. Honda is very much emphasising the ‘Concept’ part of the name tag at present, with only limited technical details being released. 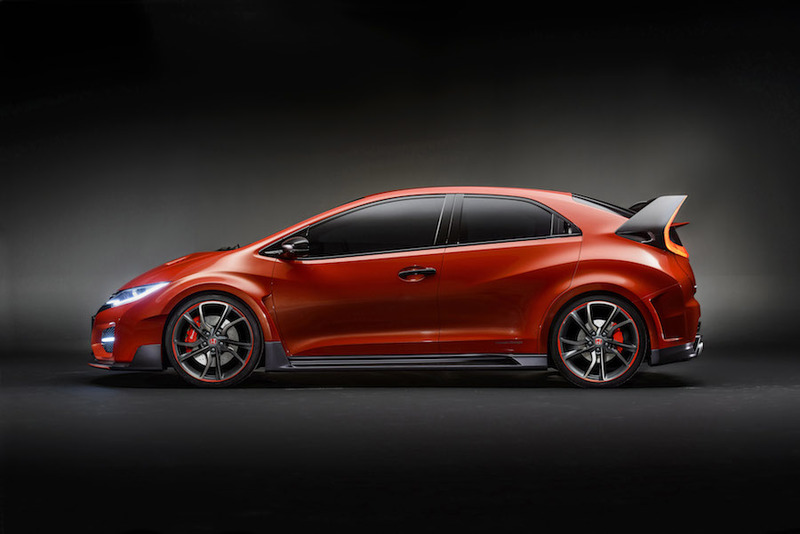 What we do know is that it’ll be powered by a VTEC Turbo 2.0 litre four-cylinder engine from the Earth Dreams range. That last bit worries us, ever so slightly, as the last time we saw Earth Dreams and performance we got the very weird liveried RA107 F1 car. 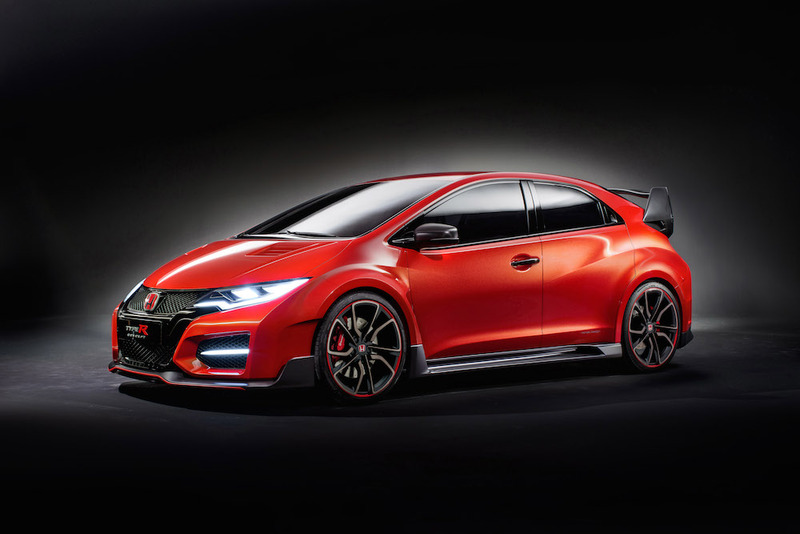 Hopefully that won’t be a colour choice on the production Type R.
What the engine will have, for definite, is at least 280 PS (276 bhp), come with direct-injection and be EURO 6 compliant meaning it’ll stick around for a while at least. Honda claims that the VTEC Turbo engine’s development has been furthered by its World Touring Car Championship campaign in 2013. With the Civic racers in the BTCC also using turbocharged engines, it will at least mean road and competition cars now share common technology. Like the recently featured SEAT Leon Cupra, Honda has been pounding the Nürburgring Nordschleife circuit to develop the Concept prototype. Expect an attack on that Spanish record in the near future. Testing has shown that the epic rear wing produces genuine additional downforce, whilst the enlarged front grilles and bonnet vents provide cooling for the engine. Arches have been widened to take 20″ wheels, and there’s the now obligatory quad exhaust tailpipes fitted into a race-like diffuser. We have to admit, it looks pretty damn menacing. You’ve got our attention Honda; just be sure to come up with the goods.